Kath in a National Institute for Health Research (NIHR) Knowledge Mobilisation Research Fellow. She is a sociologist with a particular interest in public involvement and community engagement. She works in the European Centre for the Environment and Human Health, and supports the Health and Environment Public Engagement (HEPE) group in Cornwall. She completed her PhD in 2014 at the Peninsula College of Medicine and Dentistry with a theses entitled ‘Public and Patient Involvement in Theory and in Practice’. This was supported by the NIHR Collaboration for Leadership in Applied Health Research and Care, PenCLAHRC. Before undertaking that study Kath had been one of the founder members of the PenCLAHRC public and patient involvement group (PenPIG). As a University of Exeter Catalyst engagement champion she has worked with colleagues from other academic colleges and community groups to support engaged research and learning. A particular interest of hers is the use of stories, games and activities in communication about research. 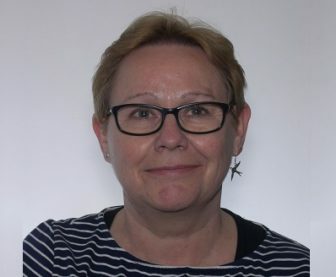 As a member of the Third Gap Research Group, within the Institute for Health Research, Kath is particularly interested in connecting theoretical understanding of public involvement and engagement to our developing practice. She is committed to ensuring service users and members of the public are supported to access research evidence and that addressing their information needs is embedded in research priorities. As a former carer, Kath used that personal experience to inform lay roles with NIHR funding panels and the General Medical Council Reference Community. She was a member of the National Community Forum, which sat wthin the Department for Communities and Local Government, taking part in their panel on community involvement across government. She also worked with Empowering Communities, the south west regional cross sectoral consortium on public engagement. She was part of a social enterprise, researching community involvement in Local Strategic Partnerships for the Joseph Rowntree Foundation. Her work with local community sector groups has focused on community based learning and active citizenship support.